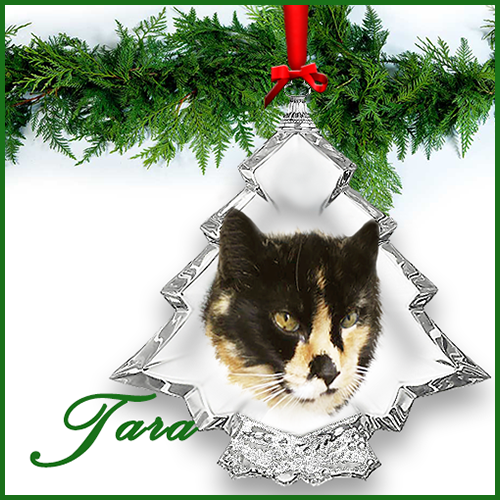 Today we'd like to thank the talented Ann at Zoolatry for the Holiday Memory Angels she created for us of both Tara and Truffles. Christmas is a time to remember those who are no longer with us, and while my Christmas tree is full of ornaments honoring my angels who now reside at the Rainbow Bridge, as a blogger it's nice to have digital ornaments too. Ann also designed our Christmas card again this year, which we'll be unveiling soon! We like those digital ornaments. Those really are wonderfully beautiful. Oh, your angels and their ornaments are beautiful! Ann does such wonderful work. It's a purrfect bonus that the models are downright stunning to begin with. 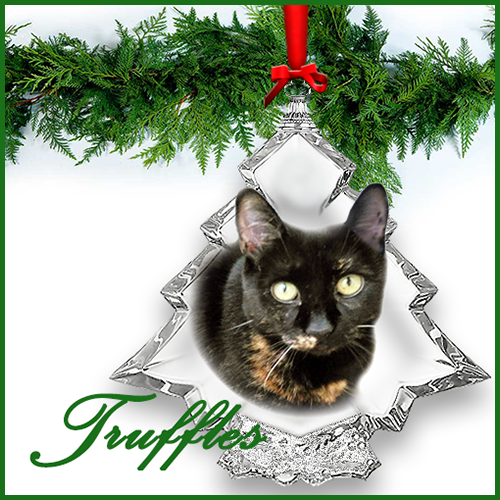 Ann did such a wonderful job with these digital ornaments for your angels Tara and Truffles. We can't wait to see the Christmas card that you will be sharing with us soon. Thanks for the share. Have a wonderful day. Oooh aren't they just precious. * hugs * I still remember Truffles going. They are beautiful. Ann is so talented. So sweet! Ann is the best. We look forward to seeing your card! Beautiful ornaments. Can't wait to see the card. Those are pawsome! I'll bet you can print them out, attach them to some felt or posterboard and hang it on your tree.